This is something we (Computer Science educators) have needed for a while – a general purpose mailing list to discuss a wider range of CS education topics. 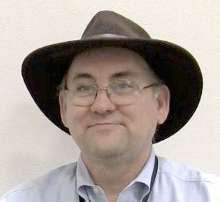 As this announcement points out there are regional lists and specific topic lists but nothing really for the wide range of what makes K-12 computer science education topics. I’m excited about this announcement and hope lots of you will participate. 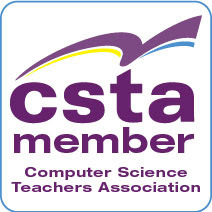 The Computer Science Teachers Association is pleased to announce the launch of a new member benefit - a listserv to foster communication about all issues related to computing education. We recognize that other electronic communities for computing educators exist, but ours strives to be different. Instead of focusing on one particular topic (AP, Scratch, Alice, App Inventor,etc. ), we wish to create the first place you visit to ask the overarching questions that transcend one particular tool, language, or course. Consider this a place for our 13,000+ members to ask questions and share ideas about recruiting techniques, project-based learning, best practices for inspiring students in computing courses, best practices for teaching college-level work in the high school, textbooks, languages, etc. Let’s use the power of our membership to work together to broaden participation in computing and to have loads of fun along the way!